SBI build your web business for website building. Website building from your home. SBI build your web business facts. Website building just got a lot easier! You can have your very own website, just like I have. Believe me if I can do it anyone can! Why would I need SBI to build a web business? 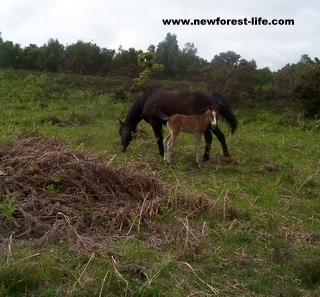 Or what is it doing on New Forest Life website? I want to share with you why I believe this is a fantastic way anyone who has a passion, can build a great SBI website, and have help all along the way, if you need it. Find out why the tortoise wins over get rich quick schemes for webbuilding, and share lots of great advice here at SBI web business. You can now follow me and 100,000+ happy SBI'ers on Facebook who have their own SBI websites and find out what it's all about. Ask us any questions you may have too, we're a friendly, sharing bunch. Or, if you want your Web Business Questions Answered without having to read everything I have to share with you, that's OK. Here's why I believe SBI (Site Build It) can help you build a successful web business - after all it's working for me. Do you hate setting your alarm clock to someone elses time schedule? Here's my solution. SBI Build Your Web Business - why? This is your chance to build your very own web business or just your own website on your favourite subject. This is what I'm doing and I'll share with you all the information I think you may need. Do you already know you want to order SBI and get your website going now? Wow a fast decision maker! If you use a webmaster to set up a website, they set it up for you and then leave it to you to get the hits - unless you keep paying a fee! With SBI website building you have various options. You don't even have to build it yourself if you don't want to. Site Sell Services can do ALL the work for you, if you want to use that option! I'm using the Blockbuilder method and doing it myself. With passion and hard work you have a very good chance of being in the top 3% of websites and web business, if it all goes well! That's where I am aiming for. Do you want to Ask a question? Or would you feel happier if you Contacted me directly? I'll certainly give you all the information I can. In the meantime. Here're just some examples of very successful Site Build It sites. Look at how diverse the subjects are: Villas in Tuscany, Tarmacadam, RV info, Dentistry, Anguilla, Kids parties, Outback Australia, Tea Tree Oil....the list just goes on - it is literally suitable for any choice you may have! Here's some SBI web business Success Stories. SBI has just got easier to try! Why not order today? your SBI web business means you'll be your very own website boss! This is as well as giving a money back guarantee - what have you got to lose? Don't forget I've always hated using computers unless they were a means to an end and SBI is just that! Plus - you can build your site on an e Learning basis or really study it thoroughly through the e Course route. Your business can grow whilst you study from home, at your own pace, but with back up from an SBI tutor. thought I'd need to go down this path but actually with what Site Build It call the "Blockbuilder" method even a dummy like me can master web site building, or most of it! There's always help at hand though. Do you know by now you want to order SBI? I'm going to run you through the basics of what SBI web business is all about and also show you where the options can take you. Take time out to have a cup of tea and perhaps watch the video - it will be available on all the links I suggest for you. SBI Build Your Web Business - another language? Are you passionate about a hobby? - that is a perfect scenario for setting up your own web based hobby business. Are you still with me? OK let me try to explain......What is SBI all about? If you want to find out more I can show you Site Build It in French, German, Spanish, Italian, Dutch, or Chinese - how good is that? Don't forget this latest Special Offer! SBI Build Your Web Business - why me? I can retire, but not retire - I can do this until I'm 105 as long as I still have grey cells working - fingers crossed then! Finally... remember that SBI alarm clock? I can get up when I want or work all night (unlikely! )...but the choice is mine. There are hundreds more reasons which I discover each day but let's move on.Find out how You can be a winner too! Perhaps you're feeling a bit sceptical? Why not see how SBI has changed peoples lives. Who could build a successful web business using SBI? The list is virtually endless but let's say you are a small business wanting to increase sales or interest in your niche. Or maybe you have a special hobby you could easily share with others?Here's how to Harness your passion! If you're still not sure then see why It's not magic! But also a word of warning! This is NOT a get rich quick business - be prepared to work as hard as you have ever worked in your life! But it will be for you!, it will be your web business or website and no one else's. This is exactly the reason I chose to build an SBI web business. Explore the Working from Home information. Perhaps you fall into one of the following categories. Are you a Work from Home Mum looking for extra income or missing the business world? An SBI web business will keep you in touch with the whole, wide website world! Perhaps you've just retired and want a project to boost the pension? An SBI web business is perfect to keep the grey cells working and bring in income from your very own website. What about the other end of the work market. Are you a Student? but can't find a job? Use your skills to build your own website while waiting for that special interview. Have you heard enough? Would you like to order SBI? Who can blame you? I was very cautious at first too. Let me share with you just some of the diverse Solo Build It web business niches which are part of the Solo Build It website family. I class it as a family because it is run with integrity and honesty. What is really important to me is, there is always help at hand from the Forums or Support team - even when you contact them when you are close to tears! - I told you I was not great with computers! Good Luck with whatever Solo Build It web business and website you chose! I'm going out on the beautiful New Forest for a walk with my dog ......because I can! Be like me - don't give up the day job until you can and just treat it as a hobby until you are earning the income you want. Now, for a limited time, you can try creating a web business by paying monthly. What have you got to lose? If you're like me, you'll find your passion, your website niche and there'll be no stopping you! Or Order Solo Build It today and start the website passion rolling, like all of us at Solo Build It web business! Solo Build It Build Your Web Business - the choice really is yours. I get lots of really lovely compliments about my website and I've made lots of mistakes. I'm still passionate about it because it is all my own work!